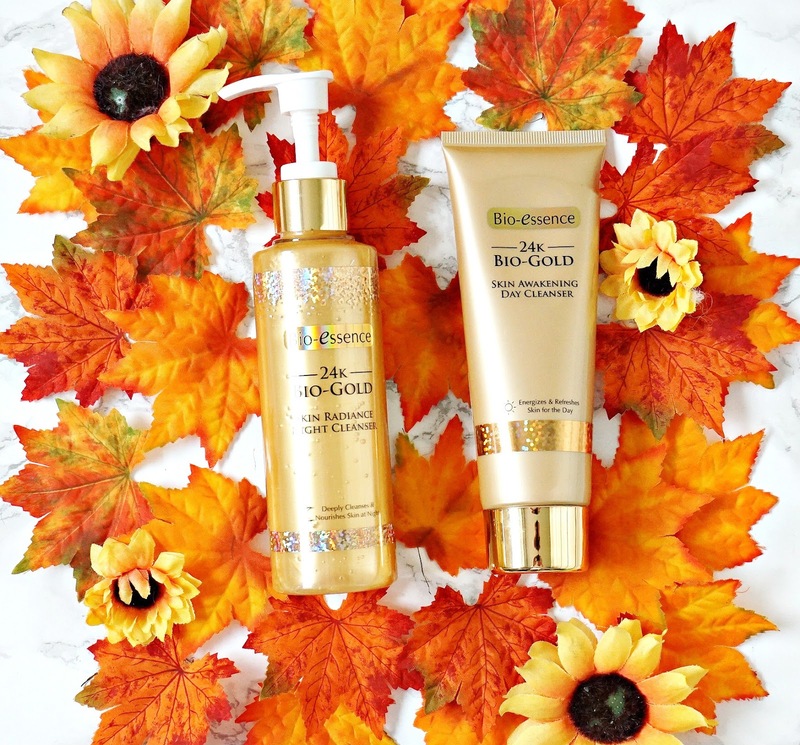 Bio Essence 24K Gold Day Cleanser: This is a rich, creamy cleanser, which I massage into damp skin before adding some water to emulsify before rinsing. I have to say that I am not the biggest fan of this cleanser - it just isn't nourishing enough for my dry skin. It leaves my skin feeling squeaky clean but it also feels like it has been stripped of moisture. That is not to say that it wouldn't work for others - I think it would be great on normal or combination skin but for my dry skin, I need something more nourishing. It might suit my skin better in summer but for the Autumn/Winter months when my skin is drier than normal due to open fires and central heating, it just isn't for me. Bio Essence 24K Skin Radiance Night Cleanser: I didn't expect to like this cleanser at it contains SLS, which is usually a big no-no for dry skin but it has surprised me. It has a gel consistency and although the product description says it can be used to remove makeup, I find it more effective for a second cleanse. I mix a small amount of it with water and then apply to my face and massage before rinsing thoroughly. Interestingly, this doesn't leave my skin feel stripped at all, just clean and soft and ready for the rest of my nightly routine. I will say, however, that because I have dry skin, I keep this to just twice weekly as I feel that if I were to use it every night, it would eventually dry my skin out. Both cleansers are currently in Superdrug at the moment, with the Day Cleanser being £4.65 rather than the usual £6.99 and the Night Cleanser being £8.65 rather than the usual £12.99. Have you tried any Bio Essence products? I'd love to hear your thoughts! All products are bought by me, unless otherwise stated. Both of these cleansers were sent to me. Opinion is always my own.